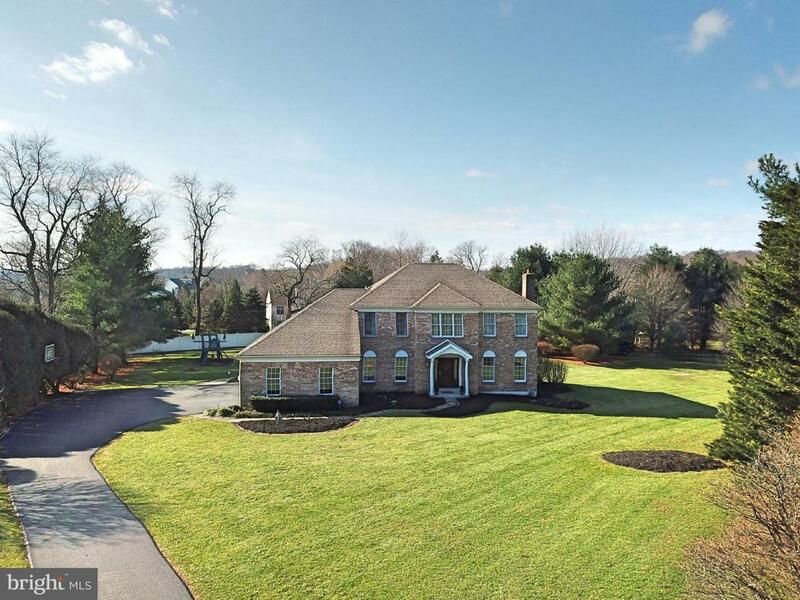 Fabulous UPDATED Colonial home in Cheshire Knoll! PRIVACY, PRIVACY... on this 1.3-acre lot, home offers over 4,800 sq. ft of finished living space, 4 bedrooms & 3 1/2 bathrooms with finished lower level offering 5th bedroom or 2nd office, maintenance FREE with Brick front & Vinyl Siding! 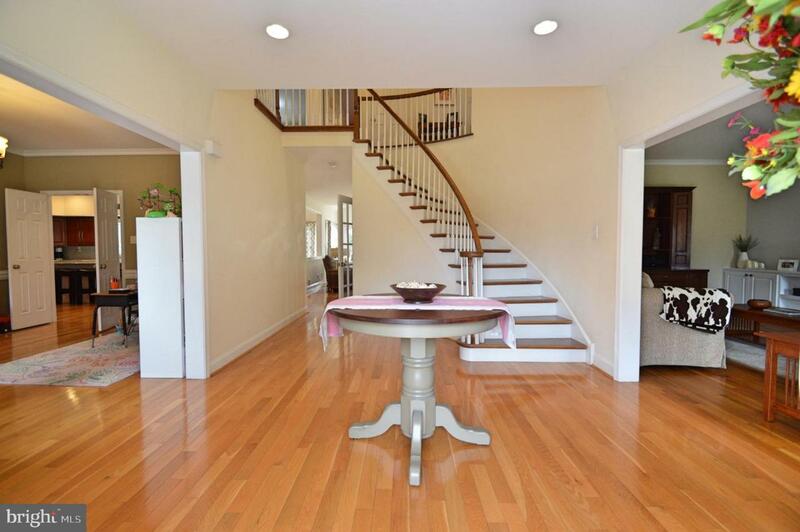 Enter the covered front porch to a Gracious Foyer with turned staircase & open to Dining Room & Living Room. 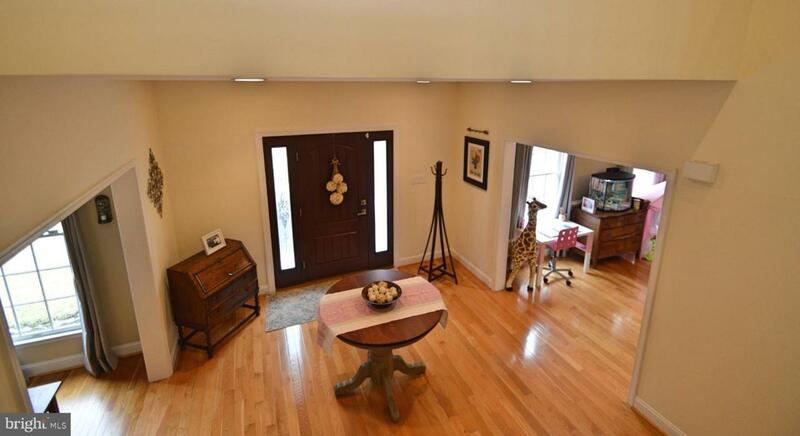 Hardwood floors gleam throughout the first floor, 2nd floor hall way & 2 bedrooms. UPDATED large Kitchen with Granite, Built-in~s, new back-splash & Stainless-Steel Appliances. Off the side of the Kitchen is the Mud Room/laundry room, customized with tons of cabinets & storage, washer & dryer, with access to garage or rear door to the deck and large flat yard. The Brick front home offers an Open floor plan, Kitchen & Breakfast room open to the Family Room which has a Gas fireplace with ceiling fan, wet bar& windows with views of the rear yard! French doors from the Kitchen to the Dining room with chair rail & moldings. Living Room offers Gas fireplace with custom built-in cabinets. Finishing the first floor layout, a side hallway leads to the Rear Office, with customized built-ins, shelf's and privacy. Off the side hallway is also the main floor Powder room. Take the curved staircase to the 2nd floor, Master suite with carpet, ceiling fan and amazing walk-in designer closet, large enough to call your dressing room! The newly updated Master bathroom with 2 additional custom walk-in closets, gorgeous tile flooring, large shower, soaking tub & double sinks, offering a true retreat! There are 3 additional bedrooms, 1 with carpet and 2 with hardwood flooring, all featuring ceiling fan or center lighting and large closets. Hall bathroom is over-sized with double sinks and tub/shower. Enter the Lower Level finished(app. 1200 sq.ft. ), great space for a growing family with open 2nd family room, 5th bedroom or Office, built-in cabinets, Full bathroom & Storage! Fantastic lot, rear fenced yard with shed & privacy. All with the 3 Car garage, Newer AC & furnace, New driveway & Low Taxes. Cheshire Knoll is a sought-after community, walk-able to East Bradford park, with NO Association! Close to WC Borough, Highways & Shopping! Featuring West Chester Blue Ribbon Schools, a MUST SEE! Inclusions Play Set Washer/Dryer Refrig.